All it takes is a little extra cheddar cheese and a mini muffin tin to turn boxed mac and cheese into these finger-friendly Baked Mac and Cheese Bites. This easy mac and cheese recipe is a quick weeknight dinner option that's sure to get two thumbs up from even the pickiest eaters. 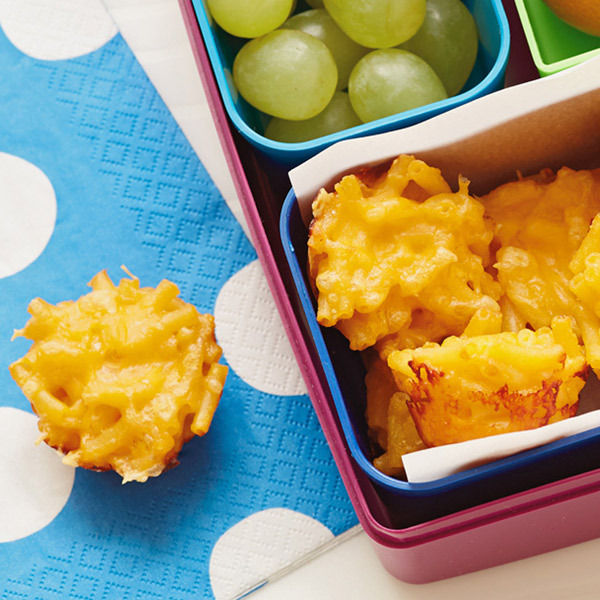 Try these mini macaroni bites tonight and your kids are sure to be begging for more mac 'n' cheese, please! In a bowl, mix shredded cheddar cheese with prepared macaroni and cheese. Fill muffin cups to the top with the mac and cheese mixture. Bake for 5 to 8 minutes or until shredded cheese is completely melted.